High quality, air hockey fun! 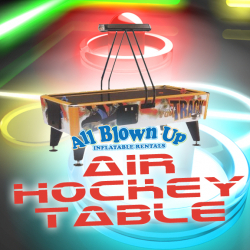 Kids and adults will spend hours with their friends enjoying games of air hockey action. Get yours today. No steps or ramps. Must have double doors with removable center bar for rental.